While reviewing these wines, I shared the Meritage with a neighbour who is familiar with the style of Burrowing Owl wines. “Is there a better winery in British Columbia?” he asked. That puts a heavy on Burrowing Owl president Chris Wyse who is in the midst of perhaps the most important decision he will make this year: hiring a new winemaker. Bertus Albertyn (left), the South African winemaker who has been at Burrowing Owl since October 2009, is stepping aside later this season to concentrate on Maverick Estate Winery. Maverick, which has just begun to get its wines into the market, is a project launched by Bertus and his father-in-law, Dr. Skalk de Witt. Bertus trained at South Africa’s leading wine school. By the time he came to the Okanagan, he had been seasoned by work with a large co-operative winery and then as head winemaker for Avondale, a well-regarded family-owned winery. One of Burrowing Owl’s strengths has always been the consistent style of the wines that was stamped on the winery by Bill Dyer, the consultant from California who made the first seven vintages here, starting with 1997. The reds, especially, have always delivered bold and satisfying flavours. Burrowing Owl consumers always knew what to expect. The wines made by Bertus probably exceeded those expectations. Obviously, his departure leaves a hole. However, I expect that the winery has been inundated with résumés from strong winemakers eager to take over such a strong legacy. “I am certain we will have a strong replacement for Bertus,” Chris told me recently. Here are notes on the winery’s recent releases. Burrowing Owl Pinot Gris 2012 ($20). The winery’s flagship white, this begins with appealing aromas of freshly sliced apples with a squeeze of lime. On the palate, the wine delivers flavours of pear and guava with a hint of grapefruit. The fine mineral spine leads to a crisp and refreshing finish. 91. Burrowing Owl Merlot 2010 ($30). The vintage was a cool one but Burrowing Owl, with its great site and superb viticulture, pulled of a terrific Merlot with 14% alcohol. In the glass, the wine presents an appealing aroma of black currant, black cherry, lingonberry, spice and chocolate. The wine is full on the palate with juicy flavours that mirror the aromas. In spite of the year, the wine presents the plush texture and concentration of a ripe Merlot. There are notes of spice and cedar on the lingering finish. 91. Burrowing Owl Cabernet Franc 2010 ($33). This wine won a Lieutenant Governor’s Award of Excellence. I can do no better than to echo the notes published by the winery: “An intense nose of blackberries and ripe cherries evolves into cedar and dried herbs with a faint hint of cocoa and vanilla. The palate has round lush flavours of juicy red fruit, black tea and ripe plums. Bright red raspberry in colour with well integrated tannins and a balanced acidity. This wine will benefit from decanting and pairs perfectly with herb roasted leg of lamb, or smoked duck breast.” 92. Burrowing Owl Athene 2010 ($35). This is a blend that includes Cabernet Sauvignon and Syrah – always a good marriage, as the Australians showed. This wine begins with appealing aromas of vanilla, blueberry and plum. On the palate, there are flavours of black currant, black cherry and plum, with spice and pepper on the finish. 90. Burrowing Owl Meritage 2009 ($45). This is also sold out on the winery website but may be available in restaurants and private wine stores. Burrowing Owl’s flagship red, it is simply terrific. It is 38% Merlot, 33% Cabernet Sauvignon, 23% Cabernet Franc, 4% Malbec and 2% Petit Verdot. It begins with lush aromas of black cherry, cassis and spice. On the palate, there are layers upon layers of savoury black berry and boysenberry, with coffee and cocoa and cedar on the finish. The tannins are firm enough to allow this wine to be cellared another five years; but also ripe enough that it can be enjoyed now. 93. This year, British Columbia wineries entered a record 402 wines for the 11th annual Lieutenant Governor Awards of Excellence in Wine. The competition, which has since been emulated by Ontario’s Lieutenant Governor, was launched by Lieutenant Governor Iona Campagnolo. It was carried by her successor, Stephen Point. In turn, his successor, Nicola Valley rancher Judith Guichon, has continued to sponsor the awards, which have achieved considerable prestige. It is a tough competition, with only 12 awards of excellence given each year. There is some discussion that, with the rising number of entries, a few more awards may be added in the future. The Lieutenant Governor will present the awards personally in ceremonies at the winning wineries on July 24, 25 and 26. The winners are all in the Okanagan and Similkameen Valleys. They include both repeat winners – Wild Goose Vineyards likely has won more often than another other winery – and first-time winners like Synchromesh Wines at Okanagan Falls. Here are the winners. The tasting notes are taken from winery notes. Where such notes were unavailable, I dipped into the notes I made as a member of the seven-person judging panel. Synchromesh Storm Haven Vineyard Riesling 2011 ($32 and sold out). This is a Riesling lover’s Riesling, beginning with dramatic aromas of citrus and petrol. The texture shows quite concentrated minerality with flavours of lime and grapefruit. The finish is rich and has great length. The judges were unanimous in voting for this wine. It is a top quality wine highly prized by collectors. They get their names onto a winery’s VIP list and get in line to buy each release when the winery announces it. They usually buy it six to 12 bottles at a time. 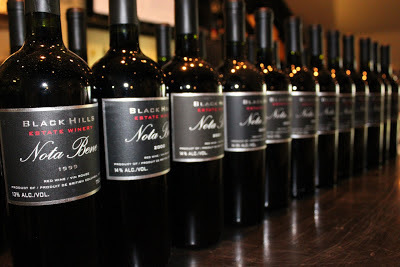 The most enduring cult wine from the Okanagan is Nota Bene, the flagship Bordeaux blend from Black Hills Estate Winery. 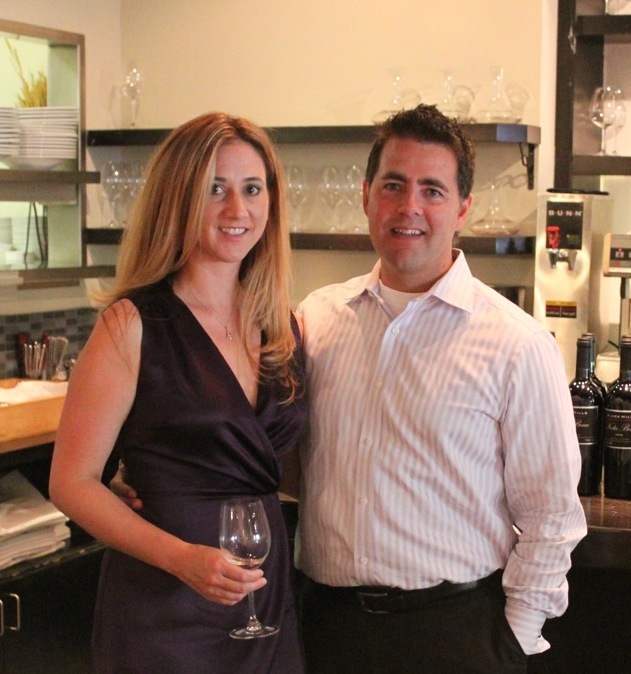 Paul Guedes (below with wife Kara) is a North Vancouver businessman who has collected Nota Bene in each vintage since that wine debuted in the 1999 vintage. Recently, to celebrate his and wife ninth wedding anniversary, he invited some of their closest wine-loving friends to a dinner at which 12 vintages of Nota Bene (1999 through 2010) were served. The venue was a cozy restaurant called Kitsilano Daily Kitchen where chef Brian Fowke prepared an astonishing nine-course dinner, pairing the tapas-sized courses with the wines. Black Hills was launched in 1996 when two couples – Peter and Susan McCarrell and Bob and Senka Tennant – purchased an abandoned vineyard on Black Sage Road and planted 36,000 Bordeaux varietals on 26 acres. In 1999 they decided to open a winery, making wine with half of the vineyard’s production while selling the rest. That gave them cash flow while they developed the Black Hills brand. The first wine was Nota Bene 1999. It was well received by a number of reviewers. In a prescient review at the time, if I may pat myself on the back, I wrote: “A Noteworthy and Collectible Wine. For collectors of British Columbia wines, the latest must-have wine is the 1999 Nota Bene from Black Hills Estate Winery, a producer near Oliver which has just opened. This has all the marks of becoming a cult red wine capable of appreciating in value." The Nota Bene blend is usually anchored with Cabernet Sauvignon, but not always. The 1999 Nota Bene was 64% Merlot, 26% Cabernet Sauvignon and 10% Cabernet Franc. The second vintage in 2000, however, was 52% Cabernet Sauvignon, 35% Merlot and 25% Cabernet Franc. That has generally been the template. The 2010 Nota Bene, for example, is 57% Cabernet Sauvignon, 32% Merlot and 16% Cabernet Franc. The predominance of Merlot in the first Nota Bene reflected the 1999 vintage. It was a cool vintage, one in which it was harder to ripen Cabernet Sauvignon than Merlot. The first Nota Bene had 13% alcohol. The 2000 vintage, from a warmer year, had 14% alcohol. Even warmer years produced a 2004 Nota Bene with 14.6% and a 2007 Nota Bene with 14.7%. Senka Tennant, with some initial coaching by telephone from Washington consultant Rusty Figgins, made Nota Bene from 1999 through 2007. She had a hand in making the 2008 as Black Hills transitioned to new ownership and to the current winemaker, Graham Pierce (right). This comparative stability in winemaking has meant that Nota Bene’s style has been reliably consistent across all of the vintages. When the McCarrells wanted to retire from the wine industry, Black Hills was sold in late 2007 to Vinequest Wine Partners Limited Partnership. The Tennants took a few years off and then opened Terravista Vineyards in 2011, a Naramata boutique offering only two white wines. Vinequest president Glenn Fawcett financed the purchases and the subsequent expansions at Black Hills through the sale of units to investors. Paul Guedes is not an investor but is an enthusiast for Black Hills wines. Currently, Black Hills is owned by about 450 investors who, among other perquisites, get a free case of Nota Bene each year. With the wine now selling at $53 a bottle, that is a good dividend. It is just one of the privileges of ownership. Vinequest Wine partners have doubled the winery’s total production to about 10,000 cases a year. However, the production of Nota Bene is capped around 4,500 cases a year, safeguarding the quality of the wine as well as its comparative scarcity. At the end of the Paul Guedes vertical, his 18 guests voted on their favourites. There were six votes for the 1999, five for the 2003, four for the 2002, two for the 2005 and one for the 2006. Obviously, Paul has a temperature-controlled cellar with excellent storage (constant 54 degrees F), because none of the wines had fallen apart. Nota Bene 1999: The fruit aromas and flavours have matured, developing earthy notes and ephemeral fruit favours that typify a well-aged wine. The complexity reminded one taster of an aged Italian red from Tuscany. It so happened I still had a bottle of the 1999 in my cellar. In view of the vote – it was not my top pick - I opened it the following day. The fruit in my bottle was more vibrant (one expects bottle variation as wines age), deliciously sweet up front with a spicy berry note on the finish. It has begun to slide from its peak, but with remarkable elegance. Nota Bene 2000: The wine has notes of delicate truffle aromas, with flavours of plum, cassis and cigar box. The texture is polished and elegant. Nota Bene 2001: The aroma is smoky and spicy but the mid-palate is lean and dried out. It reminded me very much of an old Chianti, with its short, dusty finish. Nota Bene 2002: This is a surprisingly satisfying wine, beginning with dark hue and a texture that is big and bold. On the palate, the ripe plum flavours are juicy and generous. The wine is at its peak. I reviewed this wine when it was released and wrote that it was the best Nota Bene to that time. It still outshines the previous three, in my view. Nota Bene 2003: This was a hot Okanagan vintage and the atmosphere was saturated with smoke from the forest fires. There is just a touch of smoke on the aroma and in the flavour of this wine, along with notes of plum, black cherry and olives. Nota Bene 2004: The wine begins with spicy berry aromas, leading to flavours of black currants, plum and cigar box. Nota Bene 2005: This begins with a seductive aroma of vanilla and cassis. The wine delivers a big spoonful of sweet fruit to the palate (lingonberry, cherry, raspberry) with long silky tannins and with a persistent finish. This was my favourite. I prefer the lively fruit aromas and flavours to the elusive notes of some older vintages. Nota Bene 2007: The firm structure and power of this vintage marks it as a good candidate for further cellaring. However, it is already appealing with spice and cassis aromas and with earthy plum flavours. Nota Bene 2008: This begins with an appealing aromas of red fruit, vanilla and mocha. It is rich and ripe on the palate with flavours of plums, black cherries and vanilla. On the finish, there are hints of chocolate, red berries and spice. Nota Bene 2009: I am surprised no one voted for this wine. I found it one of the best on the table, with dramatic aromas of vanilla and cassis, followed by flavours of black currant, coffee, mocha and cedar. At a previous tasting when this wine was released, I noted vanilla, eucalyptus and dark fruits on the nose, with flavours of plum, black cherry and chocolate. This has lots of time ahead it. Nota Bene 2010: At this stage of life, this wine is tight as a drum. It begins with aromas of raspberries and pepper and tastes of cola, coffee and vibrant red berry notes. It has the classic cigar box notes on the finish that signal the Bordeaux heritage of this wine. Opening the wine now is infanticide. Rolf de Bruin and Heleen Pannekoek took a risk in 2009 when they planted 20 acres of vines just outside Lillooet for their Fort Berens Estate Winery. Lillooet is a totally new viticultural area for British Columbia. The experience that others have had growing grapes was minimal and on a hobby scale. De Bruin and Pannekoek, recent immigrants from Holland, had their resources on the line. Happily, that vineyard has begun to prove itself. Last year, in its second year of production, it produced 48 tons of grapes. This year, with vine growth already three weeks ahead of last year, Rolf expects between 65 and 70 tons of grapes. “The vineyard is looking better than ever,” Rolf says. One reason, in additional to vine maturity, is that Rolf this year has employed an experienced vineyard manager, Terry Hammond, who had previously worked at Road 13 and Mission Hill. Rolf has already begun to think about planting another 20 acres, although he will hold off as long as he can to make sure that Fort Berens has absorbed the lessons from the current vineyard. In 2012, the winery made about 4,000 cases of wine from its own grapes and from purchased grapes. For example, Rolf buys Cabernet Sauvignon from the Okanagan for the winery’s Meritage because he did not plant that late ripening variety at Lillooet. This year’s vintage should produce at least 5,000 cases. Rolf needs it all since Fort Berens has been selling out its wines each year. The anticipated rise in production has triggered the decision to move the bulk of the winemaking to Okanagan Crush Pad’s Summerland facility in 2013. Aside from limited production in Lillooet each year, Fort Berens has been making its wines since 2009 at the Township 7 winery just outside Penticton. Fort Berens has now outgrown the capacity of Township 7. The move to OCP also gives Fort Berens access to the winemaking team at OCP. James Cambridge, who made the 2012 vintage for Fort Berens, recently moved to Backyard Vineyards in Langley. Fort Berens is also moving ahead in planning a major winery for its Lillooet site. Subject to funding, Rolf would like to start construction this year and have the facility ready for the 2014 crush. Fort Berens Riesling 2012 ($18). This wine is made entirely with grapes grown at the winery’s Lillooet vineyard. On the back label, the winery suggests this is a “study” in Lillooet’s terroir. I think it may be early to define terroir from a young vineyard but this is certainly a well grown Riesling. It begins with a fragrant and appealing aroma of lime and flint. The flavours have good intensity, again with lime and mineral notes and with refreshingly crisp acidity and a dry finish. 90. Fort Berens Pinot Gris 2012 ($18). This wine is made primarily with grapes grown in Lillooet. It begins with appealing citrus and cantaloupe aromas, leading to flavours of citrus and apple. Juicy on the palate, this is a solid example of a varietal that is a big favourite with so many consumers. 88. Fort Berens 23 Camels White 2012 ($17). There is a story behind the label. In 1862 a Lillooet resident named John Callbreath purchased 23 camels for freight hauling during the gold rush. It was a fiasco. The camels spooked both horses and mules and, according to one account, were just turned loose. This wine, however, is a tasty blend of Pinot Gris, Chardonnay and Riesling. It begins with aromas of pears, peaches and bananas. On the rich palate, there are flavours of pear and ripe apple with a slight nutty note on the finish. 89. Fort Berens White Gold Reserve 2011 ($25). This is the winery’s reserve Chardonnay, made with grapes from Harry McWatters’s Sundial Vineyard on Black Sage Road. The wine was aged nine months in French oak. There is oak, but not excessively so, in the aroma, along with buttery tangerine notes. The hints of butter, citrus and ripe apple come through on the moderately rich palate. The wine has a crisp finish. 89. Fort Berens Pinot Noir Rosé 2012 ($18). This wine is made from grapes grown at the winery’s Lillooet vineyard. It begins with an appealing rose petal pink hue and a fruity aroma of strawberry, pomegranate and a hint of banana. On the palate, the wine has lively flavours of strawberries, raspberries and huckleberries. With its crisp, dry finish, this wine takes your mind to the fine rosé wines of Provence. From Lillooet? Who would have guessed? 90. It the Okanagan, it also can be consumed. This is the name of unique and delicious white wine from Terravista Vineyards, the Naramata Bench winery that Bob and Senka Tennant opened last year. The wine is named for a Spanish dance because it is a blend of two Spanish grape varieties, Albariño and Verdejo. The Tennants were the first to plant these varieties in the Okanagan. There is not much of it. Their vineyard is only four acres in size. A neighbour has also planted a small block. There is a small price for being out in front. Neither of these varieties is approved yet for VQA certification. The list of approved VQA varieties is locked down in legislation and regulation. Adding additional varieties requires getting industry consensus and then approval by the B.C. cabinet. The industry has approved but the government, of course, has been distracted this spring. I am not sure that it even matters, other than it keeps Fandango from being sold through the VQA wine stores. Terravista has only one other wine, a VQA-eligible blend of Viognier and Roussanne that is called Figaro. The 2012 Figaro is to be released next month. Previous vintages of both of these wines were outstanding. The current vintages should be even better, given that 2012 was an excellent vintage. Fandango 2012 ($24.90). The wine begins with lovely, refreshing aromas of honeysuckle, pear and apple. On the palate, there are flavours of melon, apple and citrus, with a hint of stone fruit and almond on the clean and lively finish. Behind the elegant and delicate fruit, there is a rich texture. The wine is so well made that the 14% alcohol is simply not apparent. 91. We all know individuals who could afford to do so but who would never consider spending $100 on a bottle of Okanagan wine, never mind the $500 to $1000 it costs each year to buy a bottle from one of the top chateaux in Bordeaux. Why would you when the weekly full-page advertisements by Everything Wine feature $9 to $12 wines from Argentina or Chile or Spain with breathless advertising copy? There might be room for both in you cellar. You need wines for every day drinking and, if your budget stretches to it, you should consider wines for great occasions. There are at least three reasons why some wines are substantially more expensive than others. Supply and demand. Chateau Mouton Rothschild 2009 sells for $1,800 a bottle in the B.C. Liquor Distribution Branch (which has 20 bottles in its stock). Mouton is one of the greatest Bordeaux reds, with a world-wide demand that far outstrips the supply. Reputation. Wealthy collectors will pony up this kind of money not just because they know the wine be good but also because they usually want to show off trophy wines. The great wines are expensive to make. The vineyards receive meticulous attention to produce the best possible quality of grapes in every vintage. The grapes are picked by hand. The winemaking equipment has become increasingly sophisticated and the very costly barrels are coopered from the best forests. Wineries need to recover that expense and book a profit to stay in business. In fact, many producers subsidize their icon wines by making and selling great volumes of popular-priced wines, like Mouton Cadet ($16 a bottle for the red, $14 for the white). This reflection was prompted by a recent tasting of wines from sister Okanagan wineries LaStella and Le Vieux Pin that included a $100 Merlot called LaStella Maestoso 2010. You should put it on your bucket list. While LaStella and Le Vieux Pin have had other aggressively priced wines, the owners also are realistic about what the market will bear. The current releases begin with a $21 rosé and a selection of $25 wines. All are well made, in part at least because the production of an icon wine has the effect of raising the bar for the entire the range. Le Vieux Pin, which is just south of Oliver on Black Sage Road, opened in 2006. LaStella, which is on the northeast shore of Osoyoos Lake, opened in 2008. Currently, the winemaker for both of these boutique wineries is Severine Pinte, a talented winemaker with training and previous experience in France. These are my notes on the wines that were released this spring. 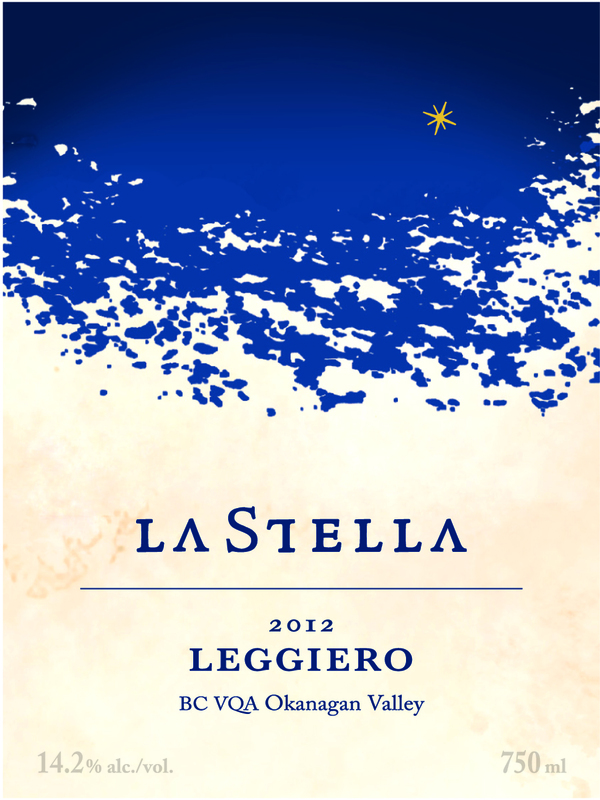 LaStella Leggiero Unoaked Chardonnay 2012 ($25 for 432 cases). Think of Chablis as the model for this wine, made from Inkameep Vineyard grapes. The wine was fermented in stainless steel and left on the fine lees – without stirring – for five months. The result is a clean, refreshing Chardonnay with aromas of citrus and apples, with lots of fruit flavours – apple, lemon, tangerine – on the generous palate. 90. 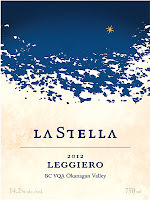 LaStella Vivace Pinot Grigio 2012 ($25 for 866 cases). Whole cluster pressing and a cool ferment yielded a refreshing white, with lime, grapefruit and green apple aromas that are echoed on the palate. The finish lingers, with notes of pear and citrus. 91. Le Vieux Pin Sauvignon Blanc 2012 ($35 for 350 cases). Just over a third of this wine was fermented and aged in French oak, adding complexity. The wine begins with aromas of herbs and grapefruit, leading to crisp herbal flavours, along with grapefruit and apple. The finish is zesty and lively. 91. 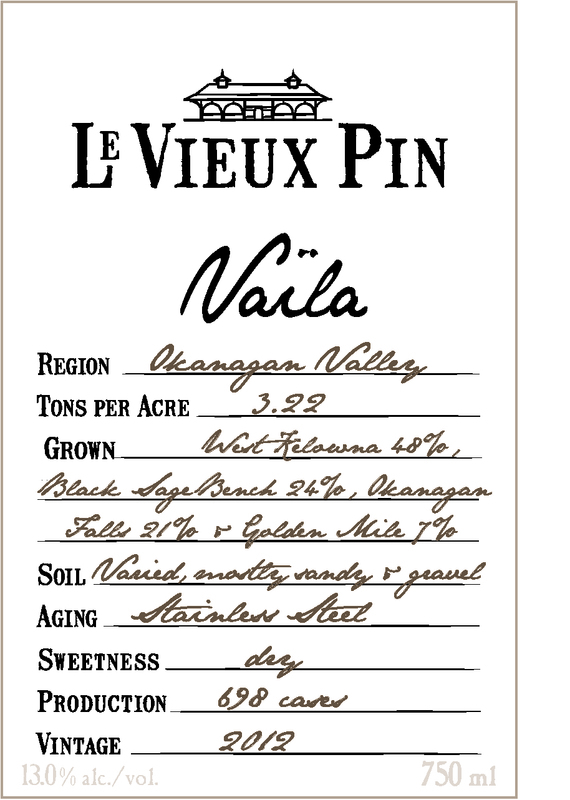 Le Vieux Pin Ava 2011 ($35 for 494 cases). This is 78% Viognier and 11% each of Marsanne and Roussanne, a classic trio for Rhone whites. The aromas suggest honeyed citrus and apple, with flavours of apricot, peach, melon, apple and subtle oak. From the Viognier, the wine gets its rich texture and long finish. 91. 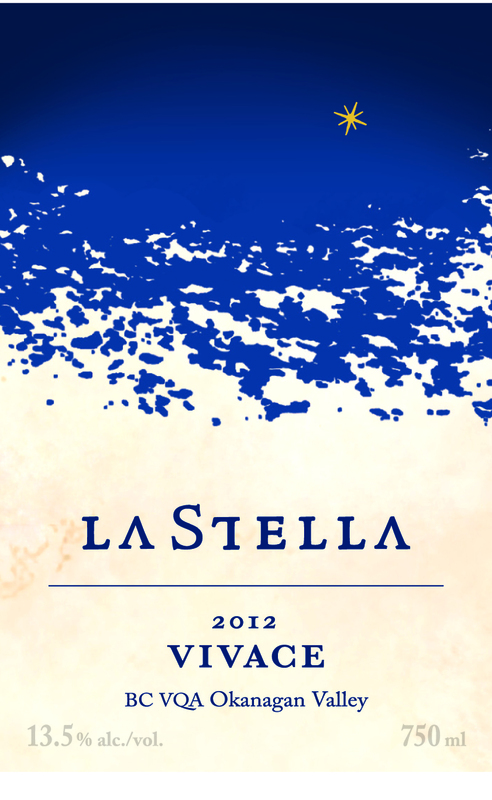 LaStella LaStellina Rosato 2012 ($21 for 578 cases). This rosé is 80% Merlot and 10% each of Pinot Noir and Cabernet Franc, made in a juicy off-dry popular style. It has intense aromas of strawberry and plum which are echoed on the palate. 89. Le Vieux Pin Vaïla 2012 ($25 for 698 cases). This rosé, one of the wines that ignited the passion for Okanagan rosé with its first vintage in 2005, is made from Pinot Noir. What consumers like about the style shows well here: aromas of rhubarb and strawberry explode from the glass. On the palate, there is a medley of fruits, including strawberry, raspberry and pink grapefruit. The wine is refreshingly crisp. 91. Le Vieux Pin Syrah Cuvée Violette 2011 ($29 for 416 cases). There is a small percentage of Viognier which was co-fermented with the Syrah and probably accounts for floral aromatics that inspired the use of violet in the name. The wine also has a touch of pepper in the aroma. On the palate, there are flavours of plum and cherry with spice and white pepper on the finish. The vintage did not yield the usual Okanagan alcoholic powerhouse with this variety; instead, the wine is elegant, with a moderate 12.9% alcohol. 91. 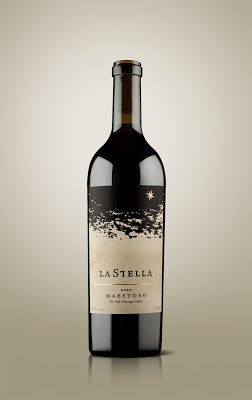 LaStella Maestoso 2010 ($100 for 120 cases, plus 28 cases of half bottles, 24 magnums and six double magnums). The winery describes this as a “hedonistic” wine. It is a bold and luscious Merlot with intense aromas of spiced black currant jam and mocha. The rich palate delivers sumptuous berry flavours that fill the mouth and then linger a very long time. Yes, the wine is worth the price. 95. The photograph at the head of this posting was taken in late April at Seven Stones Winery in the Similkameen Valley. The concrete structure is one end of the 3,000-square-foot underground cellar that owner George Hanson added to his winery. To build it, a massive pit was excavated. When the structure was in place, it was covered with earth. This photo was taken the day before the final loads of earth were put in place. 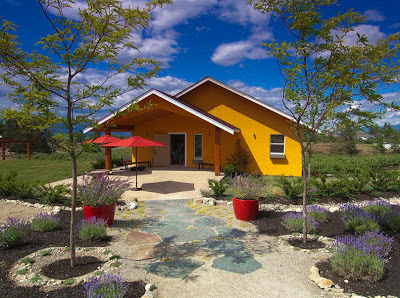 The rationale for this project is that George has been able to move 300 barrels from the above-ground winery into the northern half of the cellar. There, the barrels of wine will mature in the cool ambient temperature of the earth. A small waterfall tumbling down the north wall will maintain ideal humidity, reducing the evaporation loses from the barrels during the hot, dry Similkameen summers. The vacated above-ground barrel storage now is used to store case goods, which were offsite. Seven Stones is making about 3,000 cases a year, on the way to a target of 4,000–4,300 cases. While utterly practical, the cellar also caresses a bit of the winemaker’s ego. After all, George called his icon red blend The Legend from the very first release several vintages ago. The south end of the cellar, which connects to the Seven Stones tasting room with a spiral staircase, includes a commercial kitchen and a space for winery dinners. There is nothing quite like this in any of the other dozen wineries in the Similkameen. George arrived in the Similkameen in 1999 to buy property for the 20-acre vineyard he planted just beside Highway 3 in 2001. Born in Alberta in 1957, Hanson spent 25 years in the Yukon, becoming a manager in the territory’s telephone system. “I got an early golden handshake from the telephone company and decided to pursue my dream,” he recounts. He had already been thinking of retiring to a winery of his own by the time he was 55, having become, by his own account, the Yukon’s best amateur winemaker. He planted primarily red varietals. “I remember planting this vineyard and thinking that the reason is to make a Meritage blend,” he says. Accordingly, he planted Merlot, Cabernet Sauvignon and Cabernet Franc. Subsequently, he added Petit Verdot and Malbec, giving himself all five major Bordeaux reds. He was not entirely focussed on Meritage, for he also grows Syrah, Pinot Noir, along with Chardonnay. The Seven Stones Syrah is always a big, generous wine. The Pinot Noirs, considering the heat of the Similkameen summers, are remarkably elegant. The 2012 Pinot Noir, a concentrated wine with floral aromas and cherry flavours, will have a tribute label to George’s late wife, Vivianne, who died in 2012. It was Vivianne, who formerly had run a Prince George health foods store, who suggested the winery’s name. The inspiration is from seven massive boulders around the Similkameen significant in First Nations history. Standing Rock, for example, was a meeting place. A mural in the Seven Stones tasting room elaborates on this history. George hired a consultant to make the winery’s debut vintage in 2003, but he has long since taken complete charge of the cellar. “The Legend is my top priority,” he says of the icon. He limits production to 100 cases a year but that wine has the effect of lifting the entire portfolio. It is not made from special blocks in the vineyard but is selected from best barrels in the cellar. That disciplines him to grow every vine with The Legend as the objective. The “leftovers” are often exceptional. In a recent vintage, Petit Verdot not needed in either The Legend or the Meritage became a solo release of 23 cases. Visitors to the winery snapped it up in four days. One of the best selling varietals from Seven Stones is Row 128 Merlot. It started as a small label from George’s favourite row in his vineyard. It has become such a successful brand that George has had to plant more Merlot. This spring Seven Stones also launched its first wine club. Members commit to buying three cases a year, typically six bottles of one variety and six of another wine in each case. The offerings, sold at a 10% discount, occasionally include library wines. George had expected to enrol 50 members by the end of the year but was delighted to have 52 members after just one month. “What I learned from that is that our brand has some traction,” he says. Here are notes on some current releases. Seven Stones Pinot Noir 2009 ($28). This is a charmer, with aromas and flavours of strawberries and cherries. There is a spiciness on the finish that recalls black tea. The texture is silky. 90. Seven Stones Meritage 2008 ($32). With almost five years of age, this wine has matured to be complex and elegant, with aromas of cassis and flavours of black currant, blueberry, plum and spice. The blend is 58% Merlot, 37% Cabernet Sauvignon, 3% Cabernet Franc and 2% Petit Verdot. 91. Seven Stones Row 128 Merlot 2010 ($30). This is a remarkably ripe and concentrated wine, considering that the vintage was cool. The winery achieved that by dropping 60% of the crop in August so the remaining grapes would ripen. The wine has vibrant flavours of plum and blackberry with long ripe tannins. 90. Seven Stones Cabernet Franc 2010 ($30). This is another vibrant red, with brambly aromas of raspberries and blackberries and with a touch of chocolate on the finish. 90. Seven Stones Syrah 2011 ($35). This is a juicy red with earthy plum flavours, along with pepper in the aroma and licorice on the finish. 90. Seven Stones Speaking Rock Cabernet Sauvignon 2009 ($35). I reviewed this wine a year ago and gave it 91. I think it is even better now, starting with aromas of cassis and blackberry and delivering dollops of sweet fruit, chocolate and coffee to the palate. 93. Seven Stones The Legend 2010 ($45). This is 50% Cabernet Sauvignon, 30% Merlot, 12% Petit Verdot and 8% Cabernet Franc. This is a bold and complex red, with floral, spicy and berry aromas and with flavours of black currant, raspberry, blackberry. On the finish, there are notes of dark chocolate. 94. In a recent blind tasting that included six Pinot Noirs –three from B.C., three imports – the SpierHead Pinot Noir 2011 at $19 a bottle easily held its own against wines twice and three time the price. I have reviewed SpierHead Pinot Noirs before and I have always been impressed by quality/value equation that those wines delivered. Well, I have just tasted three whites released by the winery this spring. The Pinot Noir is no fluke. The East Kelowna winery, which just opened in 2010, has found its feet quickly. It was named the Best New Winery at the 2012 BC Wine Awards competition. The winery is owned by partners William Knutson, a Vancouver lawyer, Bruce Hirtle, a Vancouver investment dealer, and Brian Sprout, a leading Okanagan photographer. They launched with 2008 and 2009 wines made with purchased fruit while waiting for their own Gentleman Farmer Vineyard to come into production. The impressive Pinot Noirs in 2010 and 2011 are from young vines in that vineyard. Two of the three whites – a Chardonnay and a Riesling - also are from the Gentleman Farm Vineyard. SpierHead Chardonnay 2011 ($21.90 for 261 cases). Winemaking achieved the best of both world by fermenting 80% of this in steel, preserving the fruitiness, while fermenting and aging the remainder in French oak. As a result, the wine showcases the aromas and flavours of citrus and peach. The oak treatment adds a touch of butteriness and a lingering note of cloves. This is an elegant and fresh Chardonnay. 90. SpierHead Riesling 2012 ($21.90 for 350 cases). The grapes for this are partly from the Gentleman Farmer Vineyard and partly from the nearby The View Winery. The wine is crisp and lean, with its racy acidity nicely balance with a touch of residual sugar. It has aromas and flavours of lime and lemon with a mineral spine. Savvy consumers will age this for a year to let the aromatics develop fully. 88-90. SpierHead Pinot Gris 2012 ($18.90 for 250 cases). The grapes for this delicious wine are from the Golden Retreat Vineyard in Summerland. Juicy on the palate, the wine has citrus and apple aromas and delivers flavours of citrus, peach and apple. 90. On curb appeal of the labels alone, the new Bonamici Cellars should be a great success. A virtual winery, Bonamici is a partnership of two old friends (hence the name): consulting winemaker Philip Soo and veteran marketing executive Mario Rodi. The label, designed by Hired Guns Creative of Nanaimo, celebrates the friendship by depicting two individuals floating along in the barrel-like gondola under two balloons. An added touch is the capsule which repeats the balloon motif. This is the most charming new wine label from an Okanagan winery in some time. The charm triggered a spontaneous smile when I first saw it. And I kept smiling when I tasted the two wines, which are just now being released in some private wine stores and restaurants. Don’t go looking for the winery at the above address. That is the address of an existing winery where Philip and Mario will make Bonamici wines for several years before opening a winery of their own. The website is expected to be live shortly. Philip and Mario have several things in common in addition to a shared passion for wine. Both are sons of immigrant families and both are alumni of Andrew Peller Ltd. Subsequently, Andrew Peller Ltd. bought this company along with a wine kit company. Philip was then promoted to Peller’s winery in Port Moody in 2000. When the winery closed five years later, he moved to the Okanagan to become a consulting winemaker. He now has an impressive list of clients. They include Dirty Laundry Vineyard, Noble Ridge Vineyard & Winery, Gold Hill Winery, Adega on 45th Estate Winery and Cassini Cellars. He has never paraded those names, leaving it to his clients to have the accolades when the wines win awards, as happens often. Philip’s experience as a consultant enables him to identify the vineyards and growers needed to make wines at Bonamici. Mario was ready to launch in 2011 but Philip advised waiting for a better vintage, which came along last fall. They have released a pair of blends from 2012 and have a big red in barrel for release next year, along with another 2013 white. Bonamici Merlot Cabernet Franc 2012 ($28 for 480 cases). This is a bold red, beginning with aromas that are brambly, gamey and even a touch smoky (likely from the barrel). There are flavours of blackberry, raspberry, spice, chocolate and vanilla. The vibrantly youthful personality can be enjoyed now but the wine really deserves to be cellared for a year or two. 90. Bonamici Sauvignon Blanc Viognier 2012 ($23.50 for 480 cases). This is a complex aromatic white beginning with aromas of herbs, grass, spice and citrus. The lees aging has added to the texture. On the palate, there are flavours of citrus and apricot with a lingering dry finish of spice and herbs. The oak is very subtle. 90. Sumac Ridge Founder Harry McWatters has revealed the plans for his eye-catching new Time Estate Winery on Black Sage Road. Designed by architect Nick Buvanda – whose previous credits include wineries for Black Hills and Terravista – will be a dramatic white structure, partially set in a vineyard gully but with elegantly curved upper stories overlooking vineyards and the south Okanagan Valley. “It will be an iconic building that will be visible from Highway 97 [across the valley],” Harry says. This graceful architecture is far cry from the architecture of Sumac Ridge, which grew incrementally from what had been the clubhouse for a golf course. Although the winery’s expansions always reflected the Tudor style favoured by Summerland, one wag once compared it to a Motel 8. No one will ever disparage Harry’s elegant new winery. Harry expects that construction will begin this year and the winery, with a capacity of at least 30,000 cases, will be ready for the 2014 crush. The winery is set on a high point on what is now called the Sundial Vineyard. That is the half of the former Black Sage Road vineyard – crucially the half fronting onto the road – that Harry kept when Vincor (now Constellation Brands) bought Sumac Ridge in 2000. Constellation continued to buy grapes from Harry until the grape supply contract ended several years ago. Constellation owns the Black Sage Road Vineyard name and farms the back half of the original 115 acres which was all planted to Bordeaux varietals in 1993. Harry no longer has any involvement with either Sumac Ridge or Constellation, freeing him up to launch what is going to be a family winery if, as seems probable, his son Darren and his daughter Christa-Lee join Time. Harry now will have two labels. His McWatters label, which began with a 2007 Red Meritage and later included a Chardonnay, will be produced at the Time winery. It will always remain a small brand. However, Time has also launched its own label, initially with three wines: a Chardonnay, a White Meritage and a Red Meritage. Meritage is a term that denotes wines made from only Bordeaux grape varietals. The term was created in California when the wine industry there began phasing out Bordeaux place names on its labels. Harry negotiated the right to use it in Canada and Sumac Ridge made the first Meritage in Canada in the 1993 vintage. Sumac Ridge has recently discontinued producing either a white or a red Meritage, in part because Constellation Brands thought the term is too closely associated with Harry McWatters. That has given Harry the opportunity to launch Meritage wines at Time. The Time portfolio will clearly be expanded in future vintages to include single varietals, among them Cabernet Franc, Syrah and Carmenère. Harry has just planted 2,750 vines of Carmenère, a late ripening Bordeaux red that has been championed in Chile. Here are notes on Time’s first three wines, done in a temporary onsite winery in what was a former machine shop. The wines will be available in VQA stores and select private wine stores. Time Meritage White 2012 ($25 for 275 cases).This is 79% Sauvignon Blanc and 21% Sémillon, a fairly traditional blend that mirrors the many award-winning white Meritage wines made by Sumac Ridge over the years. This wine is rich on the palate, with aromas and flavours of tangerine and mango. 90. Time Chardonnay 2011 ($27.99 for 440 cases). This wine was fairly recently bottled and is not entirely over bottle shock. Since this is not your summertime unoaked Chardonnay, you would be well advised to lay it down until the fall when the toasty and citrus aromas will have come together. On the palate, there are flavours citrus, apple and pineapple. 88-90. During the past month, Tinhorn Creek Estate Winery has been releasing winemaker Sandra Oldfield’s new wines from 2012. At least three things are notable about these wines. First, they are all from a strong vintage in which the grapes ripened evenly to develop good flavours with good, but not ripping, acidity. Secondly, Tinhorn Creek still manages to keep its wines affordable. Yes, you can buy cheaper wines, as is obvious now that Everything Wine (and other private wine stores) have begun running full-page advertisements for their imports. My advice to those who think B.C. wines are too expensive is to do a blind tasting with similarly priced imports. You will find that the quality of the B.C. wine is competitive and often better. Just don’t expect the B.C. wineries to make $9 wines that go head to head with $9 imports. B.C. does not have the vast vineyards and low-priced land that Argentina and Australia have. Thirdly, Tinhorn Creek’s quality is consistent across the range. Note that my scores all are 90 or better. Tinhorn Creek’s viticulture has undergone a significant upgrading during the past five years and that has now shown up in the bottle. Tinhorn Creek Chardonnay 2012 ($18.99 for 1,457 cases). This will be released July 1. The wine begins with refreshing aromas of citrus and green apples, leading onto flavours of apples and honeydew melons. The barrel fermenting has contributed to a generous texture. This has all the fruit-forward pluses of unoaked Chardonnay with the added complexity of very subtle and ever so lightly applied oak. The finish lingers. 90. Tinhorn Creek Pinot Gris 2012 ($18.99 4,490 cases). The wine begins with aromas of banana, pear and apple. On the palate, this juicy wine has flavours of pear, apples and peach, with lingering notes of lime and green apples on the finish. This is a very refreshing Pinot Gris. 90. Tinhorn Creek Gewürztraminer 2012 ($18.49 for 4,825 cases). The wine begins with aromas of rose petals, spice and lychee, leading to rich and spicy flavours of grapefruit and grapefruit rind. The wine has a generous texture on the mid palate, with a lingering dry finish. 90. Tinhorn Creek Oldfield Series 2Bench White 2012 ($22.99 for 1,165 cases). This is a blend of 53% Chardonnay, 21% Sauvignon Blanc, 17% Vermillion, 6% Viognier and 3% Muscat. The result is intriguing – a wine that begins with appealing and subtle aroma of citrus and spice, continuing to flavours of apple, pears and melon. The wine has a rich weight on the palate, along with a dry finish. 91. Tinhorn Creek Oldfield Series 2Bench Rosé 2012 ($22.99 for 786 cases). This is 51% Cabernet Franc, 49% Syrah, pressed off the skins after four hours. The wine has an attractive bronze/pink hue. It has aromas of strawberry and flavours of strawberry and cranberry with a squeeze of grapefruit and with good weight. The finish is balanced to finish dry. 90.